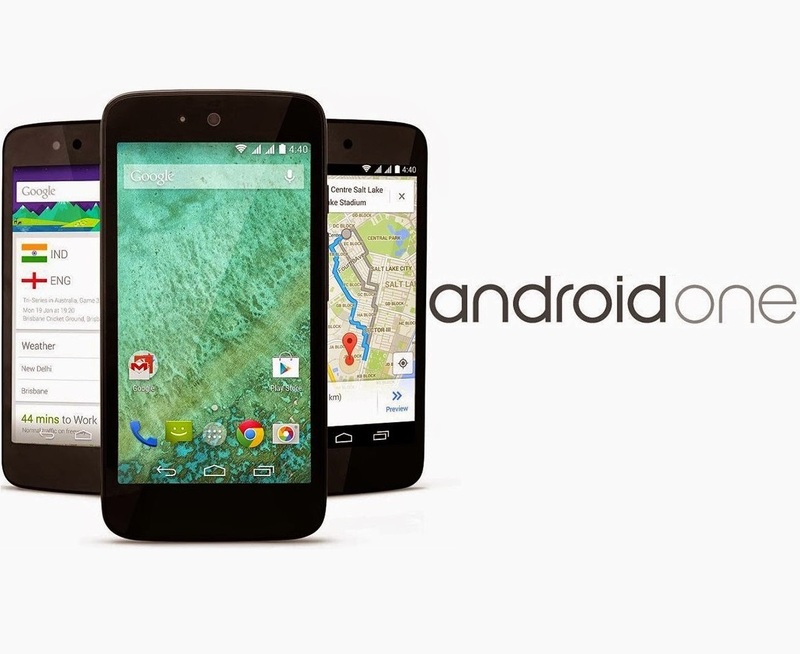 Android One: Is It Now or Never? Android One is the kind of dream that many wouldn’t believe could be possible. Despite One’s inherent virtues, capturing new smartphone users with sales of capable, streamlined handsets and clean, rapidly updating operating systems is still not an easy task. Layer in a competitive marketplace full of capable alternatives, and launching a new brand becomes a bold and difficult proposition. So, considering that Google arguably delivered on all of those points, why hasn’t Android One become the shining example of success it was hoped to be? Android One was launched back in September 2014 in India only, expanding out to other markets later over the proceeding months. The plan was to engage with previously-established manufacturers whose names were recognizable within the market in question, build smartphones that would cost less than $100, agree on Google-mandated spec sheets, and provide those devices with untainted vanilla Android — which could be easily updated straight from Google. It was a budget-Nexus initiative, in other words, and considering the amount of grief that OEMs receive about fragmentation and timely updates, this is the kind of solution that was designed to demonstrate how easy it could be to keep the consumer on the cutting edge regardless of a phone’s specs or price bracket. However, it wasn’t long after this momentous release that we began to see a number of articles claiming that demand for these smartphones just wasn’t there. MediaTek, who manufactured the SOCs for the devices in question, were expecting to sell around 2 million units in 2014 alone, but unfortunately this proved to be a wildly inaccurate estimation. As few as 850,000 Android One phones were sold in between their launch and May this year, around half of the prediction over about double the time, which quickly shows the lackluster response from India and beyond. And yet, Google remains confident about Android One and we’ve recently seen rumors of a second wave of handsets in production for release this year. During interviews, Caesar Sengupta, the Vice-President of Product Strategy for Android One is quoted as saying that the sales figures are “not disappointing”, as they’re part of the “broader goal of bringing the next billion people online”. So, why hasn’t Android One caught on? The first element in this disappointing maneuver was Google’s lack of local advertising. The online tech media were abuzz with stories about Android One, running in the weeks and months prior, all the way up to the release itself… but in a country like India – where many of those looking for their first smartphone don’t have a way to access the internet – this doesn’t always translate into domestic hype. The reality is that a high percentage of consumers in more economically-developed countries don’t follow technological websites or blogs, even when on the hunt for a new handset, and are far more likely to be influenced by what their friends and relatives own and what is prevalent in popular culture at the time. This is only compounded when access to objective information is more scarce, and so to have any penetration into India’s market, Android One needed to have quick and obvious access to potential buyers, and a compelling reason why its devices were worth it. Unfortunately, the initial sales of Google’s smartphones were entirely based online, with brick-and-mortar options all completely absent from the strategy, and this instantly crippled the overall reach of the program. Indian consumers had no option to purchase an Android One handset when entering a local phone shop, and had to rely solely on already having a way to order through websites like Amazon and Flipkart. To add to the confusion, the OEMs who had built these special products had their own similarly equipped models on sale available in direct competition for the same price, or in many cases, even cheaper. When looking at a new smartphone purchase, the average user will first look at physical design (which thankfully wasn’t much of a factor here), and at secondly at features (from both hardware and software). This can make a noticeable difference to the popularity of a device, and again, is somewhere where Android One falls down. As satisfying as vanilla Android is to use, it is rather lacking in terms of functionality, and so is the hardware of One devices. Apps go the rest of the way to fill this void, but of course, only in countries where downloading them is viable. When OEMs like Samsung attempt to cram in as many features as possible right from the first boot, Google’s offering is made to look stark in contrast, even if the former ends up frustrating in the long run. And this brings us to what is probably the most important factor in Android One’s lack of traction, and that is that most people don’t understand what Android even is. This doesn’t matter much in Google’s overall plan of getting everyone connected to the internet via their operating system and then directing advertising at them, but when you’re attempting to lure consumers away from comfortable options and towards your alternative, you’d better ensure that you’ve explained to them why they want it! This just wasn’t present with Android One, and in reality, it still isn’t present across most of the world. Plenty of the less tech-savvy of my companions are downright terrified of the notion of ‘software updates’, figuring that they tend to break or change things that they’ve come to rely on, so marketing purely on the base of this as a bonus is sure to turn off some interested parties. The other advantages that we as Android enthusiasts are aware of just don’t resonate with the average user, and so the ‘pure-Android’ feature is nonsensical to them. And why shouldn’t it be? They want their phone to work and to be hassle-free, not require updating. Other factors in this come down to local market competition. The first Android One smartphones were fairly well priced, but when looking at a purely hardware-based decision, could absolutely have been priced more effectively. Aside from Micromax, Karbonn, Spice and Lava’s own competing phones, the recent boom of impressive Chinaphones offer some insane specifications for their price, driving bang-for-buck expectations through the roof. More well-known Chinese brands like Xiaomi and Meizu are no strangers to this market either, combining decent value for money with brand value and build quality to carve out their own portions. None of these manufacturers mention anything about swift software updates, leading the uninformed to wonder exactly how that could be a defining quality in Google’s devices. The OEMs themselves don’t have much incentive to form a deal with Google either, as profit margins are lower than when producing their own in-house solutions, and overall production numbers have been smaller too, damaging the scope of each launch. And yet, we’re seeing reports of Google continuing to expand to new countries like Thailand, and of a second crack at the Indian market in the form of an unannounced sub-3,000 INR ($47) smartphone, the so-called pricing ‘sweet spot’. So clearly Android One is here to stay, and in light of recent events, that may be a very good thing. Google have now expanded their remit to over 20 different manufacturers in 8 different countries, where only a small percentage have the current means to buy an expensive smartphone. This is where the Mountain View company plans to make its money; these areas are still ripe with unhappy consumers, and those who are looking to invest in new technology. Even in India, which has one of the biggest smartphone markets in the world, there are roughly 800 million people that don’t own any kind of smartphone at all, and this can obviously be capitalized on. Google are also still quite happy to have people using any kind of Android device, regardless of whether they developed it, and continuing with Android One simply aids choice. There is also a final advantage which was serendipitous in its rise to media attention last week, and that takes the form of the multiple security vulnerabilities within AOSP that were uncovered. Mobile security firm Zimperium recently announced details of the exploit that they found, named Stagefright after the collection of codecs that harbor the bug. This vulnerability allows a remote hacker to infiltrate and then control your device through a customized MMS. The media promptly went mad, alleging that basically every Android phone out there was vulnerable and about to be compromised in a fiery smartphone apocalypse. Not long after, once the annual Black-Hat security conference had wrapped up, another huge flaw was discovered, named ‘Certifi-gate’. Check-Point, another security company, released details of the issue recently, explaining that the vulnerability lay within the architecture of the Remote Support Tools the OEMs use to assist users with technical support. If you want to check how at risk your device is, detector apps are available here and here. Off the back of these two massive security concerns, large OEMs like Samsung and LG announced that they would pay renewed attention to software updates, and in some cases would initiate monthly security updates to ensure that their users were protected. This, in the Android community, is huge. One of the worst elements of the platform as a whole is the amount of time it takes AOSP changes to reach a majority of devices… due to ponderous update implementations and approval from OEMs and carriers across the globe. The best scenario would be that other changes could be rolled into these monthly updates too, although this does seem very unlikely as we would expect most large companies to adhere to the minimum possible to keep this promise. But nonetheless, the simple idea of a handset receiving up to 12 software patches a year instead of 1 or 2 is exciting. This kind of support is almost certainly to be limited to flagship and mid to high-end models, but this is where Android One has its chance to shine. With updates straight from Google, Android One users have to worry less about their security, knowing that patches can been released quickly from slightly modified AOSP code. This should be a highlight of the entire initiative, where other alternatives would suffer indirect negative press from remaining vulnerable to exploits months after solutions have been found. This, in a way, is Android One’s calling, finally giving consumers a compelling reason to stick close to Google and benefit from the security shelter it provides. Along with the newer devices targeting a differing range of price-points, there is more than enough of a chance for these handsets to become recognised and successful in their chosen markets. Google need to refocus their efforts then, and really push the desirability and availability of their Android One smartphones across the world. Their first and most important step is advertising; making sure that not only does the average consumer understand what Android One is, and which devices support it, but also what Android is, and why this is important. They need to jump at this chance to prove that they and their own handsets can be quick to react to any security concerns, should they arise. Secondly, once these phones are visible within the media, Google need to put them in shops, were people can see them, and make sure that supplies are adequate and reliable, proving to OEMs that consumers will buy their products when given the opportunity. Of course, other important factors are already being worked on, like the movement towards Google apps that are modified to provide offline experiences, and the expansion of Project Loon and similar methods of providing internet access to these less economically developed countries. These and more should help to make a difference. But until the consumer is presented with ample opportunity and clear details when it comes to buying their first (or next) Google smartphone, they just won’t be able to make the informed decision of choosing Android One over an all-too-familiar rival. What do you think of Android One’s progress so far? Would you be tempted to buy one? Let us know in the comments!